It started with the gentlemen at the hotel reception who were trying to rectify an error with our booking. And then the waitress at breakfast. The cashier at the supermarket. People that crossed my path who, before deciding to speak to me in English instead of Arabic, hesitated for a moment because they couldn’t quite ascertain whether or not I was Egyptian. After all, I spoke to my German-born, Australian-raised husband, and our daughter, in English. I didn’t naturally or confidently initiate a fluent conversation in Arabic. I hesitated, too. I didn’t know which part of my identity I was supposed to tap into. My family left Egypt when I was a toddler. I spent the rest of my childhood in Macau, and then my high school, university, and early adult-hood years in New Zealand. I went to an international school in Macau, and was taught English by predominantly American and Canadian teachers. We spoke Arabic at home, but as my siblings and I got older, English started to take over as our native language. By the time we moved to New Zealand, my pseudo-American-Canadian accent was relatively fixed and only occasionally will you now hear a faint Kiwi twang. I married my husband in Vanuatu. Since being married, we’ve lived in New Zealand, Singapore and now Indonesia. While I was in Egypt, I realised that in one sense, I didn’t know who I was. I didn’t know how to relate. I so strongly felt like this was my country, my culture, and these were my people, and yet, I felt like an outsider. As I stumbled through poorly-crafted sentences in my broken Arabic, I felt like a fraud. I looked at my baby and felt like I was depriving her of something to which she should have been entitled. Since that trip, I’ve been trying to understand how my own daughters will process the question: where are you from? This is a question many of us are asking ourselves – families made up of mixed ethnic backgrounds; families that have been “expats” for most of their or their children’s lives; families that have connections to more than just one country and can’t limit “home” to just one place. Sure, you could keep it simple and attribute that part of your identity to the nationality stated in your passport. Or perhaps where your parents are from. Where you lived the longest. As nice and neat those solutions seem, they don’t always work. Certainly not in our case. Both of my daughters have New Zealand passports. They’re also entitled to Egyptian, German, and Canadian passports. The eldest has only been to two of these countries as an infant and the youngest has been to none of them. They don’t speak Arabic or German because my husband’s and my default language is English. They will, however, very likely be fluent in Bahasa since we’re now living in Indonesia. When I first started thinking about this, I wondered whether we were making a mistake by gallivanting around the world with them while they were so young. Were we depriving them of a sense of belonging? Were we creating a blurry, uncertain haze where there should be clarity and confidence about where they come from? Were we confusing them? Leading them down a path that would result in them feeling like they had no home and no community? I thought about how my answer to the question “where are you from?” always contained some sort of a caveat. I could never give a tidy, clean-cut answer. Growing up in Macau, I would say I was Egyptian. That was when it was easiest, I suppose, since I was young, both of my parents were Egyptian, and we spoke Arabic at home. But then in Egypt, I would say that I was originally Egyptian but then feel the need to explain why my Arabic was limited and why I defaulted to English. In New Zealand, despite having been a citizen for the past 13 years, I would essentially have to explain my entire life story because I didn’t look or sound like a Kiwi. There was always a need to justify and elaborate on my answer. As distant as my memories of it were, Cairo felt like home. The sights, the sounds, the music, the food, the laughter, the simple, warm courtesies that punctuated every interaction I had – it felt like home. When I visited Macau after being away for 8 years, and walked through the cobblestone roads sprawling through the San Malo markets and talked to shopkeepers in Cantonese or Mandarin, it felt like home. When I was in Auckland, sipping on a flat white at a cafe along Mission Bay on a brisk Saturday morning and having a poignant conversation with the barista, it felt like home. Now that I’m settling into my new life in Indonesia, the idea of walking down Singapore’s famous Orchard Road, or riding a bike through East Coast Park, or feasting on kway teow and iced kopi at a hawker centre, feels like home. And in time, Indonesia will feel like home, too. And so I’ve made my peace with the question I asked myself. No. We are not making a mistake. My fears of dooming our children to feeling displaced and unanchored have been replaced with the reassurance that, in fact, this is good for them. The “third culture kids” (TCKs) of this generation, many of whom were born to parents that were TCKs themselves, will change things. They will move mountains. They are the generation that is accustomed to experiencing the richness and beauty of diverse cultures, languages, and traditions as part of their everyday life. They are the generation of multilingualism, of bridging cultural gaps, of walking in another’s shoes. They will not see themselves as tied down to one place, one label, one box. Instead, in every city they discover, they will see a potential home, because my hope is that they will have learned, early on, how to learn to observe and appreciate the community around them, and to seek to relate to others by trying to find common ground. I hope that their experiences will teach them that you will always find some common ground, no matter how different you think you might be to another person. I hope they learn that there will always be some element of sameness and universality in all human experience. I hope they see what traditionally have been reasons to divide, to fear, to hate, as motivations to learn, to understand, to unite. This is the generation of peacemakers. The generation that will shake things up. The generation that will fix the problems generations before them have created. *This article first appeared on Sassy Mama Singapore on 19 May 2016. 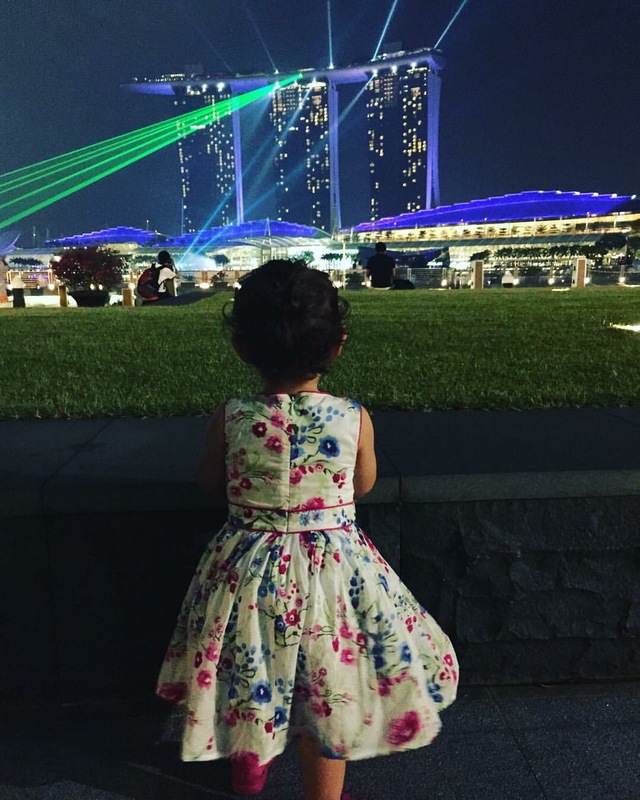 This post was really interesting to read the perspective of someone raised as a TCK. I wonder how our kids will identify and if you ask my 4 year old she says she is Australian even though we don’t live there anymore and our family is American. But it is the location she has the most memories from so right now she’s Australian. We have been having similar conversations about how the ways we identify ourselves are changing and our 3 kids each have a different relationship with ‘home’ depending on how old they were when we left. Do you mind if I share on my blog? Haha! Your daughter sounds so sweet. I’ve heard from a lot of others in similar situations that where they’re “from” changes as life goes on. And of course you’re welcome to share this! Thank you! What a thought provoking post. I’ve never heard the term ‘third culture kids’ before but it makes sense in today’s connected world. It’s difficult to decide I suppose what the right answer to ‘where are you from’ is but I think being brought up in many different countries can only be good for your girls 🙂 I’m a one culture girl myself but my daughter is going to be another story. She was 5 months old when we moved from Pakistan to USA, I wonder if she’ll see herself as Pakistani at all by the time she’s old enough to ask these questions..
It’s so interesting isn’t it? As the world gets smaller, our notions of home and belonging are becoming more and more complex. Thank you. For rising up two girls in that same situation , your beautiful testimony makes me feel so less guilty. They are the peace maker generation as you say and they bring us hope. I’m so pleased you liked it Nathalie! Thank you for reading!